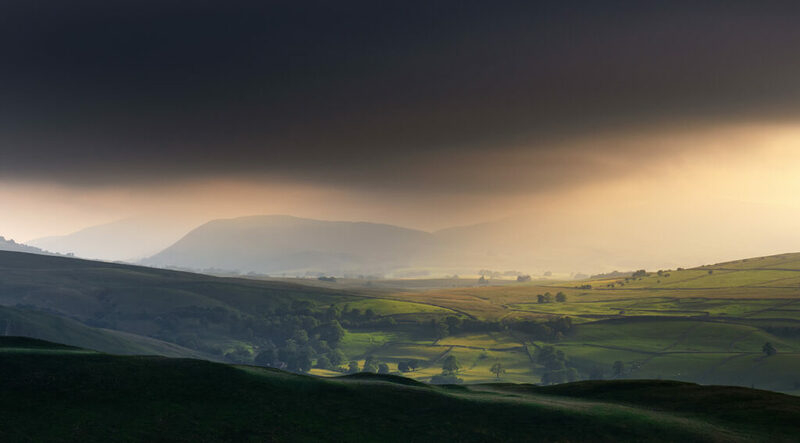 I have decided this year to share the twenty five images I have entered into the UK’s most prestigious landscape photography competition, the Take-a-View Landscape Photographer of the Year. 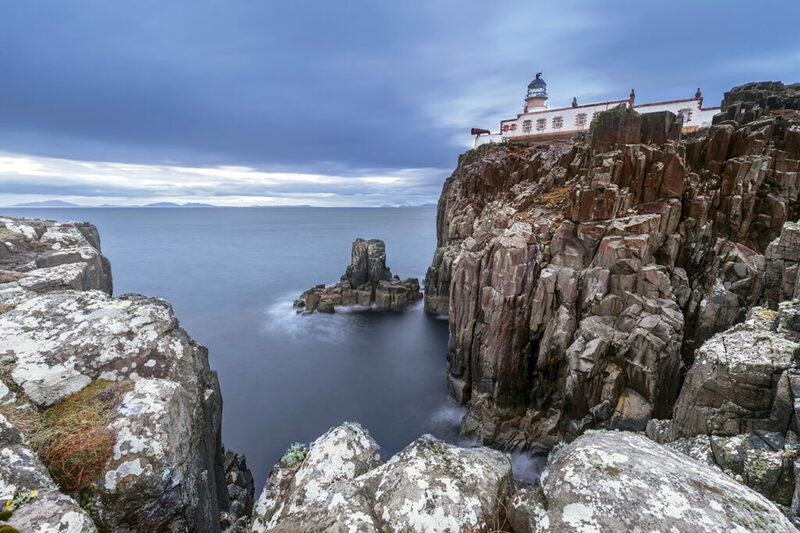 This is the biggest competition in the UK for landscape photographers with a £10,000 prize and national pride up for grabs. I do not normally share with you all the images I end up entering but I thought that I would break with tradition this year and let you all see for yourself what I have selected and entered. Perhaps it will inspire you to enter next year’s competition (closing date was midnight Saturday 7th July 2018) or simply see what kind of images I think will hopefully be selected and awarded a distinction and of course make it into the annual hard back book that features around 150 images from the 18,000 entered. It really is a closely fought competition. Thankfully last year I had two images accepted ‘Cumbrian Floods, Buttermere’ and ‘Nature’s Torch, Buttermere’ both of which were awarded a ‘Commended’ award with both making the book and one of them ‘Nature’s Torchlight, Buttermere’ being included in the physical print exhibition that toured around the country recently. There was only fifty five prints selected to be included in the exhibition so it was with a certain amount of pride that one of them was mine. Anyhow, without further ado, here are the twenty five images entered. I would be happy to hear which images you prefer the most and why. Please leave your comments at the end of the blog and I do read and reply to each comment left. Enjoy and many thanks for looking. Sadly none of the following twenty five images were successful this year. None of them reached the shortlist. Am I surprised? Yes. Am I disappointed? A little but my attitude is that you must show grace in your defeats as much as you do your successes. There’s always next year and so long as ultimately I am happy with the images I produce but more importantly, love the life that I am so fortunate to be able to live as a full time, professional landscape photographer. 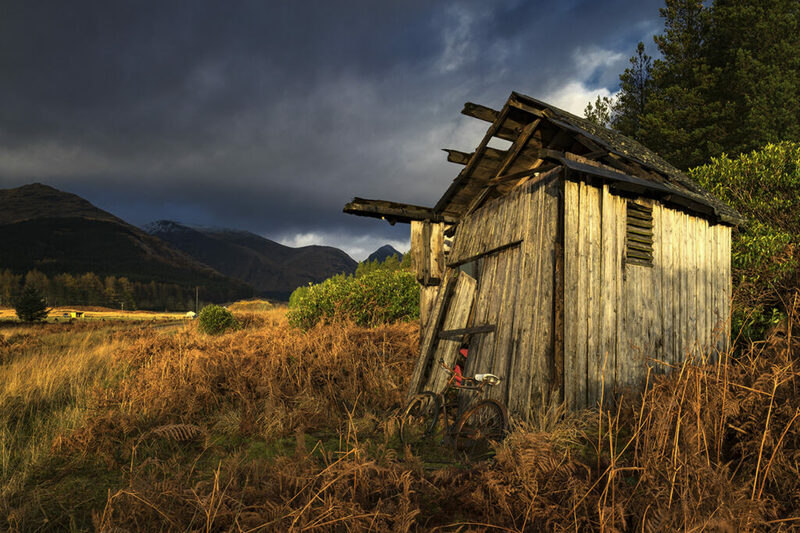 Fantastic images Melvin. There are too many good ones to choose from! All of them are spectacular images Melvin. You have a unique way to show the places and your love for them can be seen in your work. I bow to your talent my friend.. just don’t ask me to choose which is more beautiful.. it would be an impossible task. Aww thank you Doralicia for all your lovely comments throughout the whole year on my various social media platforms. Your support is always appreciated. I don’t think my one stands much chance after seeing all of yours great work. Hi Malcolm. Oh honestly, chuck twenty five images in the pot wand see which float. The process of competitions is as random as they come. Best of luck yourself Malcolm. No.1 for me is Hints of Tuscany Melvin, the capture of the sun lit spot on the hill in the background shows what an opportunistic shot this was. 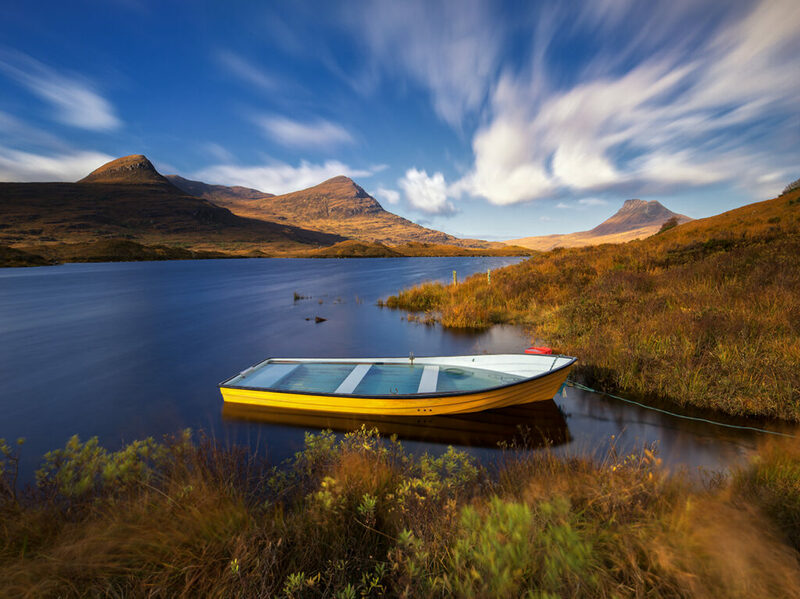 This would be followed by Rowing Boat, perfect calm and stillness together with movement in the grass and sky in one shot, amazing. Thank you for sharing these and wishing you every success in this years competition. Thank you Roger. It’s always so damn difficult to look back through your portfolio from this past year and figure out what you are going to enter. 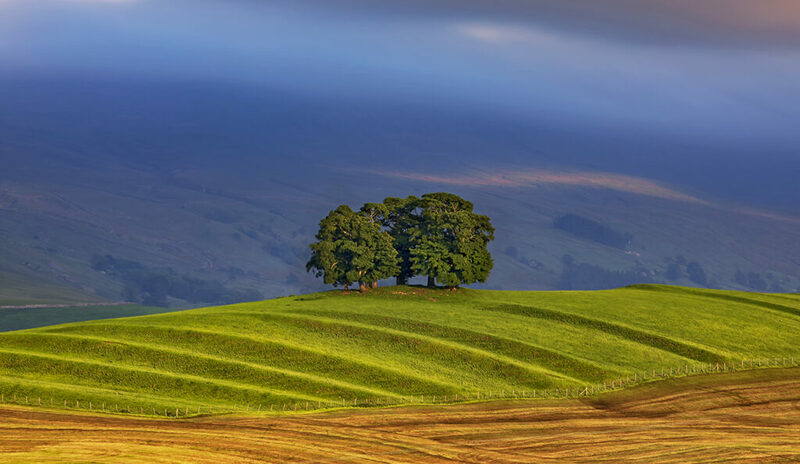 Sure, there are the usual ones that stand out (Warmth of Winter, Torrential Rain, Trotternish, and Hints of Tuscany, Gallows Hill, Yorkshire) but trying to skim down a possible list of forty or fifty images to just twenty five is painstaking. Still, nobody knows what the judges will go for as the circumstances change daily and also on what they see before your images come up. Fingers crossed at least a couple sneak into the shortlist. I’ll know within a couple of weeks then the long wait until the end of October to have the winners revealed. Someone once told me that entering competitions was fun. Bloody mad man, ha, ha. Thank you Fiona. Fingers crossed for some more success this year. 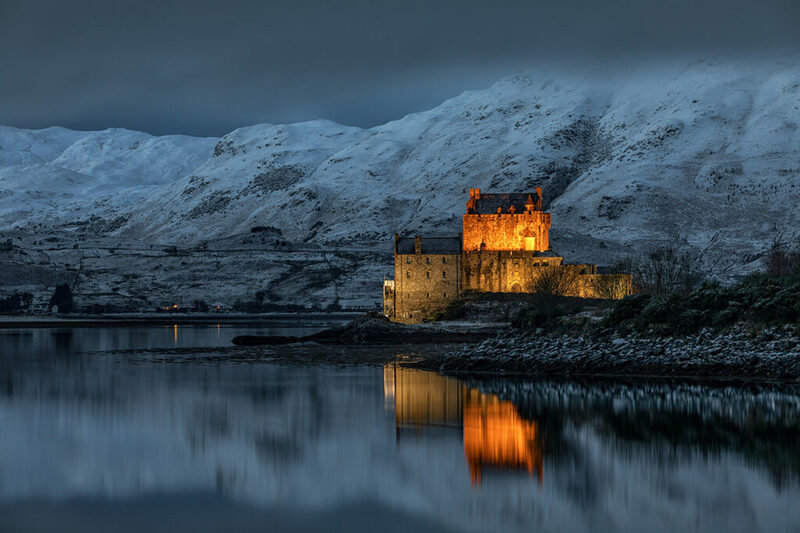 My favorite would probably be “The Warmth of Winter”, simply because it seems to epitomize what Scotland is all about: The sorta beautifully bleak landscape with that thin powder of snow and that particular castle, being all welcoming with its light. 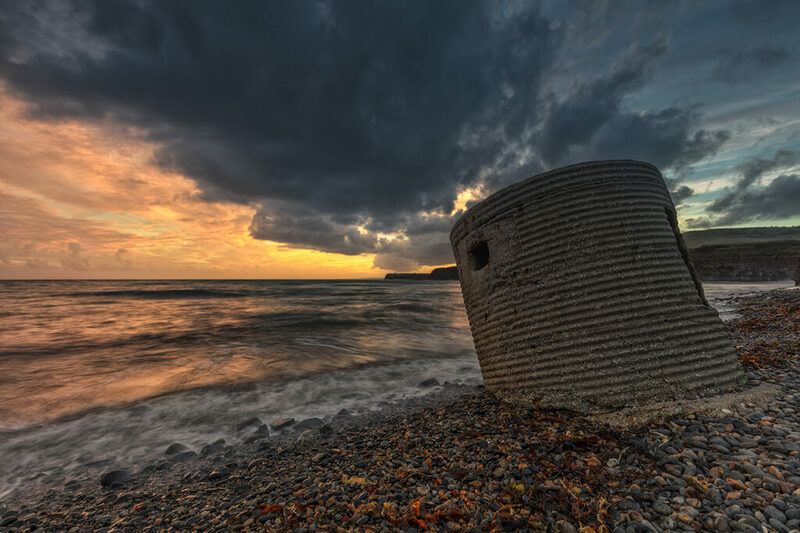 I also like “Storm’s rolling in” with that World War Pill Box for its dramatic composition and the colors. 3rd favorite is “Left High and Dry” – I love dramatic moods transported through a picture and that one ticks all the boxes. I find the movement in the clouds extremely fascinating. I wish you best of luck and cross all my fingers that one of your entries gets the recognition they surely deserve! You know there’s a interesting story about the Warmth of Winter image. It was the 27th Dec 2017 and I was driving from Glencoe to Skye when I passed the castle. It was sunset but no colour in the sky so I made the decision not to stop in the layby by the road and to continue onwards to Skye. Despite there being no colour in the sky and the castle was not lit at this point either, something in the back of my head told me that I really should turn around and see what I can get. These niggling thoughts plagued me for five miles before I eventually decided to turn the minibus around and head back. Thank heavens I did now because as soon as I pulled up and set the camera up, the blue in the sky intensified and the castle suddenly lit up. Immediately I knew that it looked like a Christmas card scene and it was simply a question of taking a few shots. I am so pleased that I did now. Regarding the ‘Storm’s Rolling In’ image shot at Kimmeridge Bay in Dorset, I also filmed some timelapse footage on my mobile phone. You can see it by clicking on the following link. The sky was unbelievable. I hope you like it and thanks for writing Nina. Enjoy your photos! 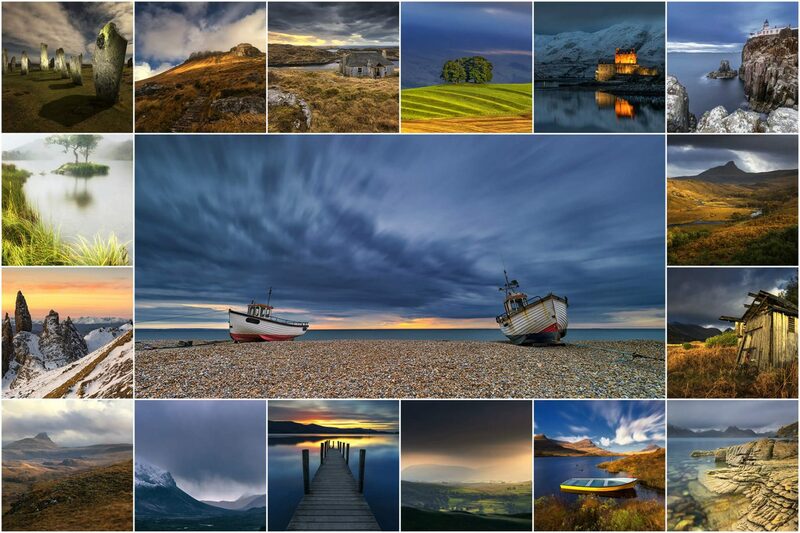 My favorites are “Storm’s Rolling In” and “Left High and Dry.” You captured so much texture in each shot that it feels like you could be there reaching out and touching the elements. Hope this makes sense. Best of luck to you! Many thanks for writing and I know exactly what you mean regarding being able to feel as though you could touch the elements. 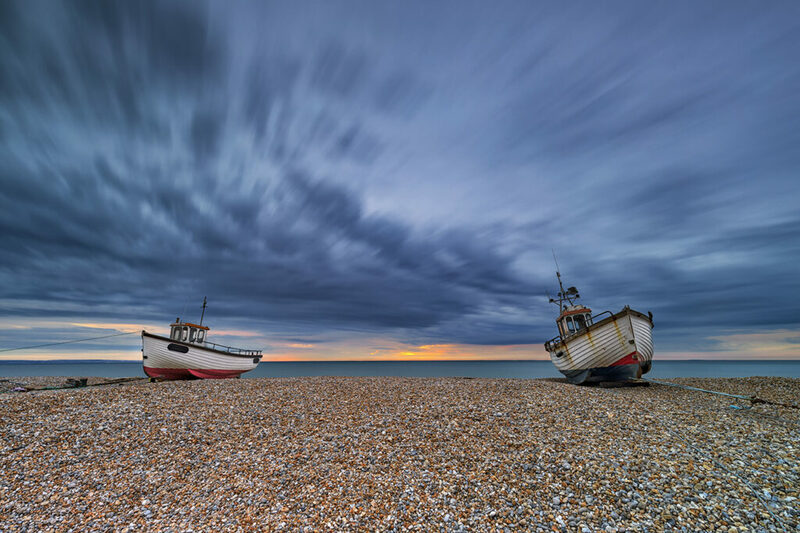 The Dungeness capture of the boats is one of my favourites because of the scene, the colour and that sky was magical. I’m so pleased that you like them too. 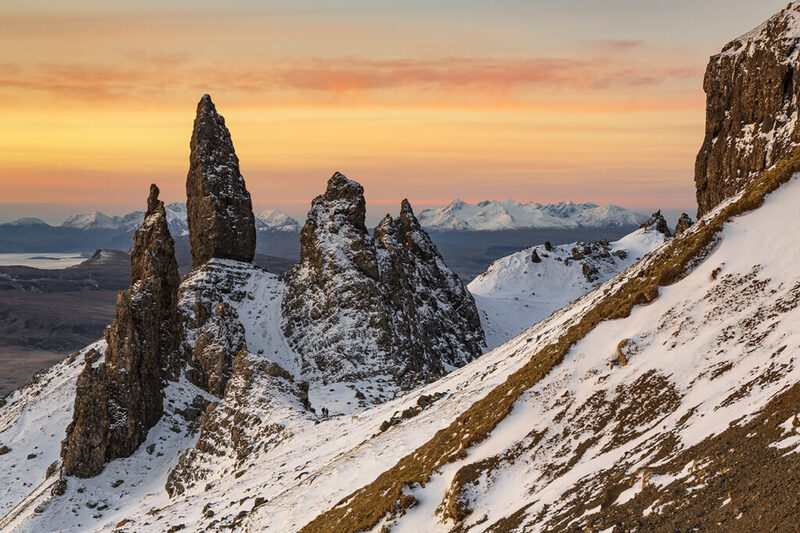 They are all wonderful shots, Melvin but my favourite shot is the Winter Warmth, Old Man of Storr. The crisp snow, beautiful sky colours and the distant mountains beyond the striking foreground rocks makes you want to be standing there taking in the view. Well done and good luck! It is always lovely to receive a nice word or two from someone who is closely connected to the castle. That meant as much to me as the photo itself. Glad you like it too, hopefully the judge/s will also see it that way too. 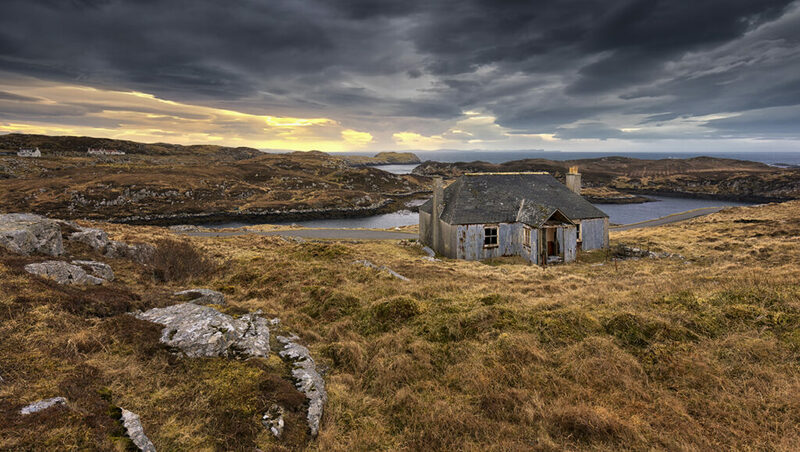 Trying to decide on just twenty five images was very difficult and it’s interesting to hear that your number one choice is the abandoned croft on Harris. 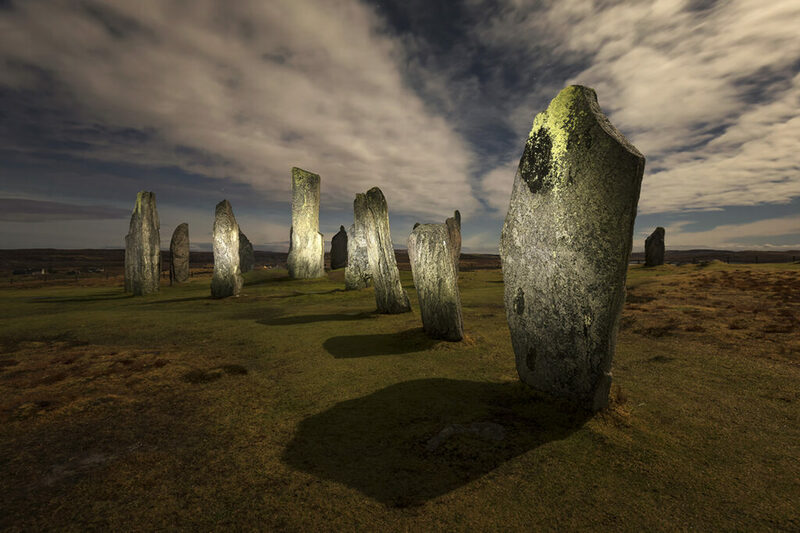 The Outer Hebrides is such an individual place, old fashioned, isolated from the mainland and accessible only by plane or a ferry but for all that, I dearly love the island. It certainly is an experience visiting it. 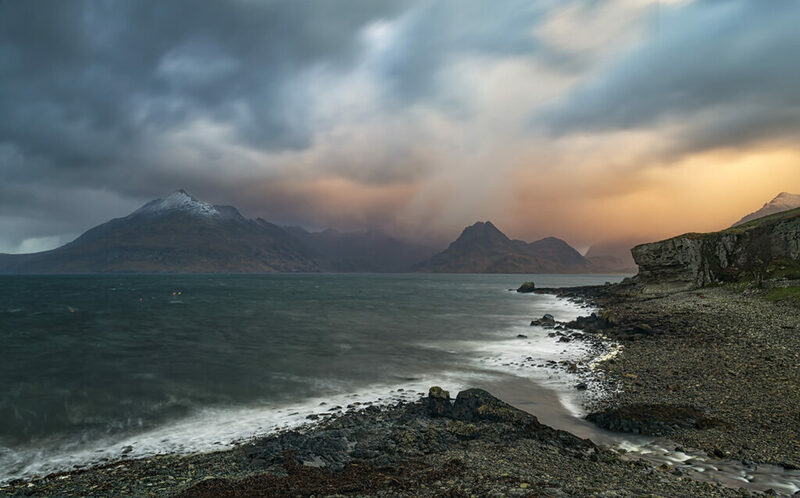 I also love “Stormy Skies”, Elgol, Isle of Skye. Perfect composition with the triangle in the foreground which leads your eyes along the shore to the beautiful sky in the background. Good luck Melvin!! You are very wise indeed. ‘Left High and Dry’ is one of my favourites from the set and mainly because it looks a little unique to a lot of the other photographs I have seen taken at that place, plus the sky was amazing. 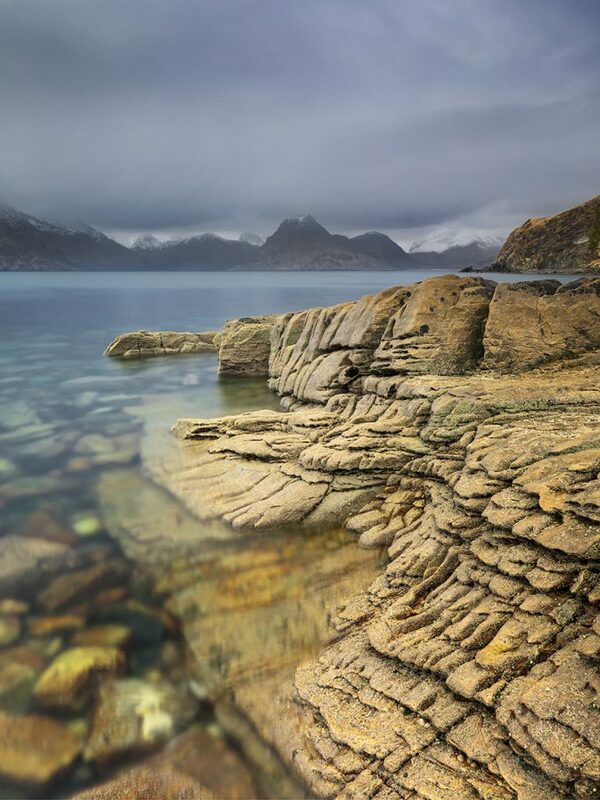 As for Skye and Elgol, well you have seen it for yourself now having joined me on my Skye workshop back in March. You now know how it looks with your own eyes. Beautiful yet haunting place. Fingers crossed it gets shortlisted. Thanks Csilla. Hints of Tuscany – Eye catching with wonderful colours and textures. Winter Warmth – superb composition and quality, and you can almost feel the thin winter warmth. 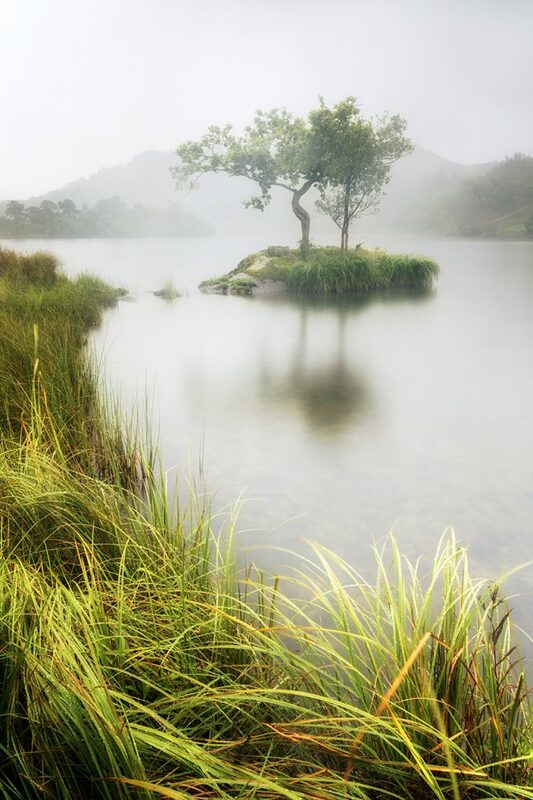 Isolated, Rydal water – A wonderful ethereal feel to the image. New Years Eve Moonlight – A superbly mystical and atmospheric image with amazing light. 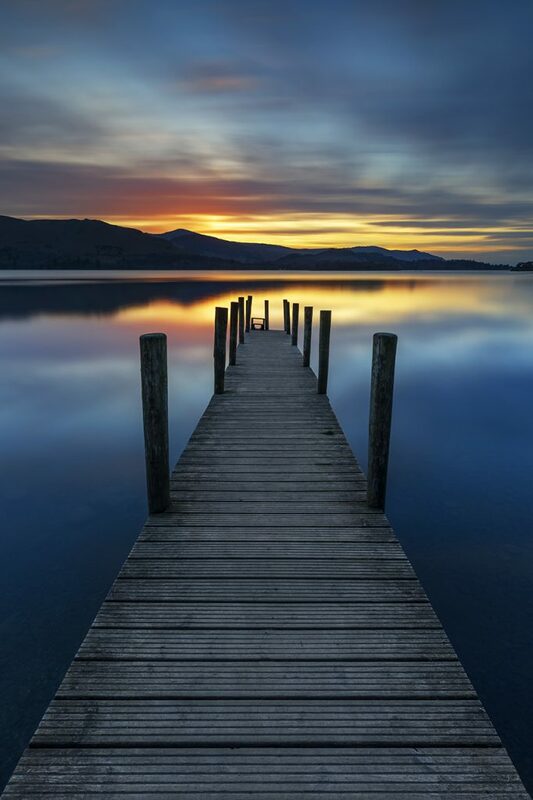 Stunning Sunset – Tranquility personified! 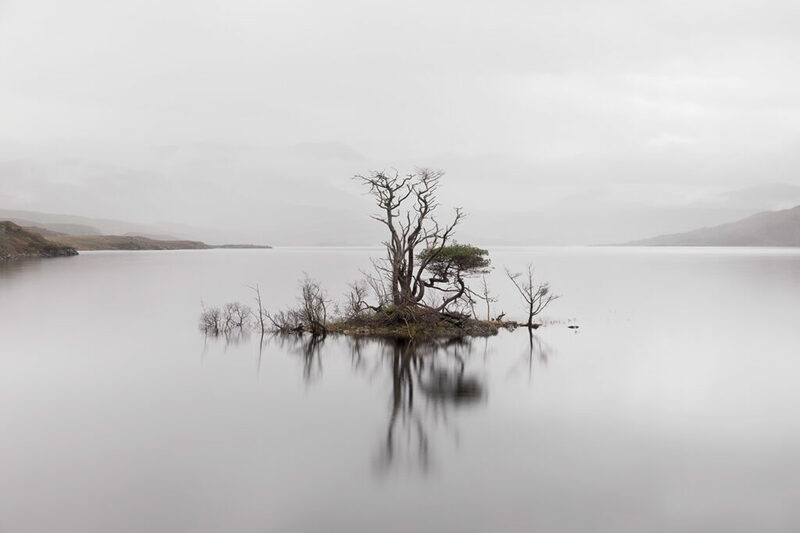 Tree In The Mist – A wonderful “fine art” image. You have selected some great choices there. Fingers crossed the judges think along the same lines, lol. 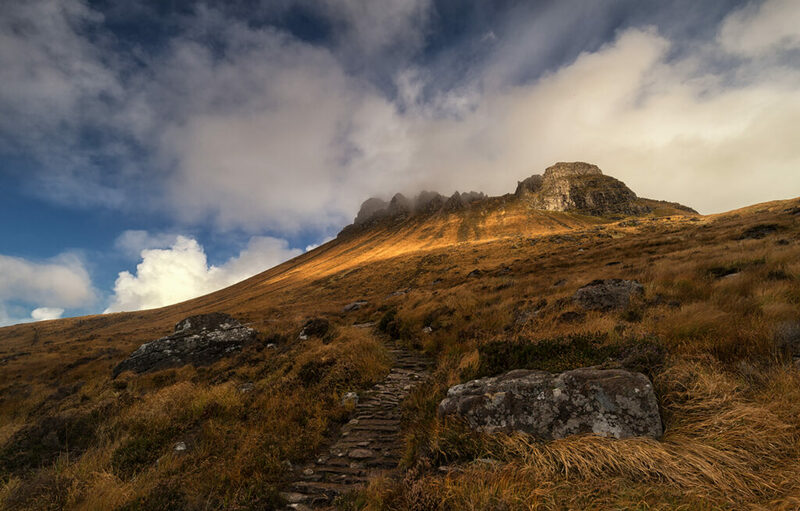 Your images capture the character of the places you visit perfectly. 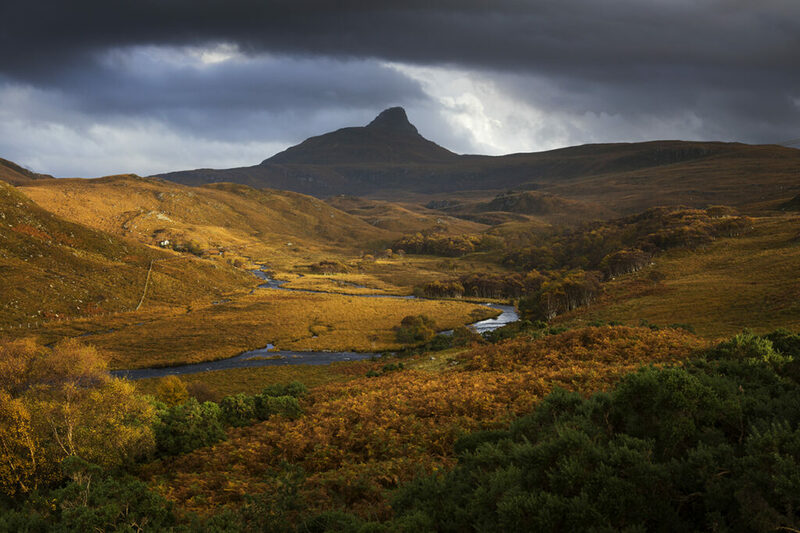 I know most of these places…(other than Dorset & Sussex) and nothing says “Skye” to me more than your Stormy Skies shot – the brooding colours, the way the ocean turns dark green just before you get another soaking… that image gave me “the feels”! and I thought I must go to Skye again soon It’s my favourite. 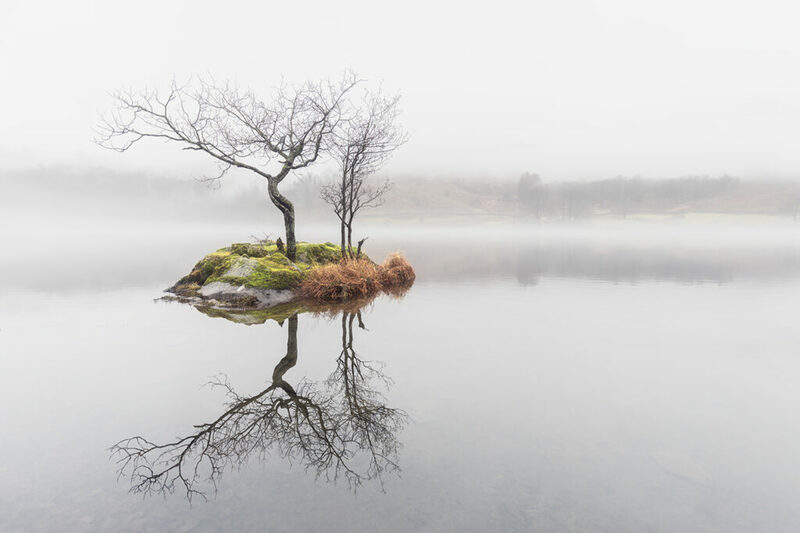 But highly commended would be Tree in the Mist Rydal. Cumbria is my home and you’ve certainly caught a typical Cumbrian Autumn day. I prefer it to Tree Island purely because of the splash of colour you’ve caught in the image. Thank you for your kind comments and I agree in your opinion that the tree island at Rydal is nicer than the one in Scotland purely based on the colour. 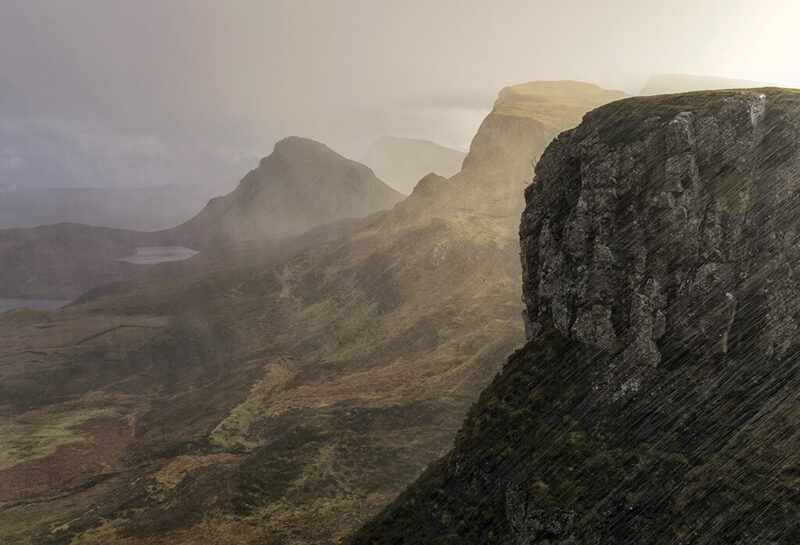 As for Skye and capturing dramatic weather, that’s definitely what Skye is all about. 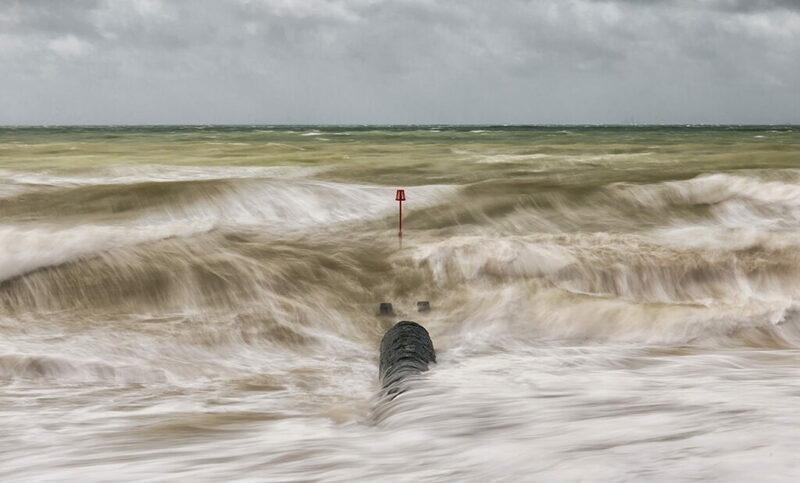 The place sure loves a good stormy day and a bit of rain but if you can shoot in those conditions, you are often rewarded. Thanks for stopping by and saying hi. A great set there but would posting them up before the judging for stage One not be in breach of the competition rules? I’m probably wrong but if you can’t post anything put forward to the next stage, wouldn’t posting up your images publicly, attaching your name be seen in a similar light? 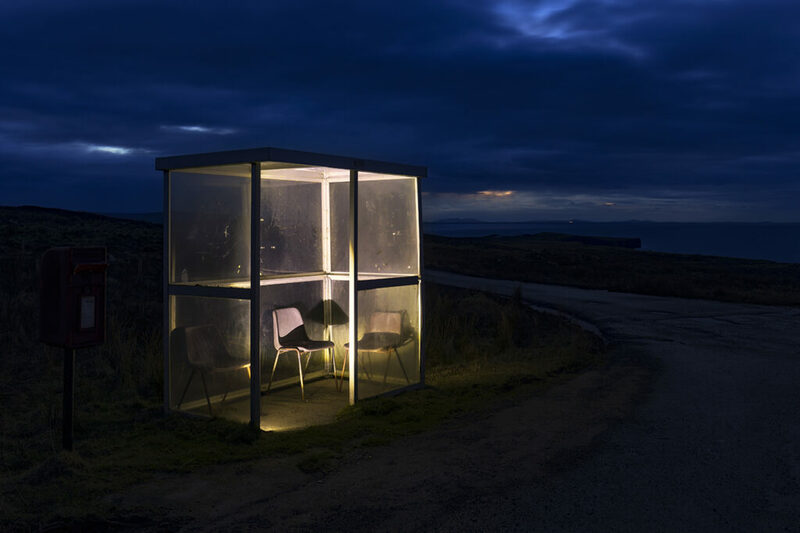 The rules state that the shortlisted images are not to be shared on social media but the images can be shared before they are entered as none of them have been selected for consideration by the judges. Thankfully I’m pretty clued up on the rules in every competition I enter but it was a fair question that you asked.